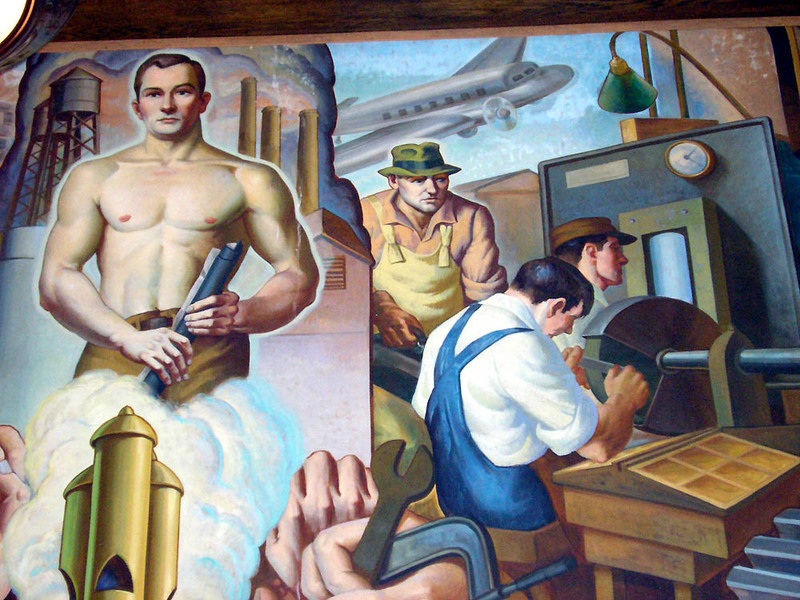 The following images depict the WPA murals in the New Britain High School. 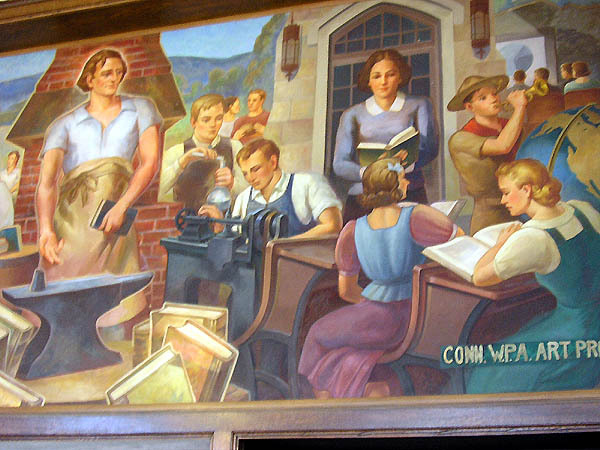 WPA murals were installed in the New Britain Connecticut High School and in the Nathan Hale Junior High School. 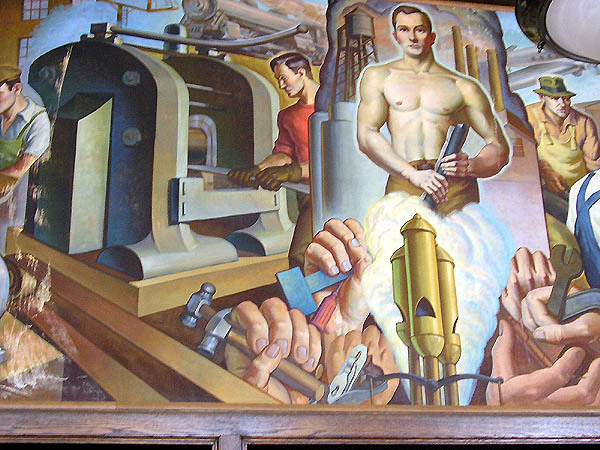 Three mural panels were installed in the High School, one of which were done by Frank Rutkowski ("American Industry," 1941). New Britain was known as the Hardware City of the World and was home to much industry including The Stanley Works. 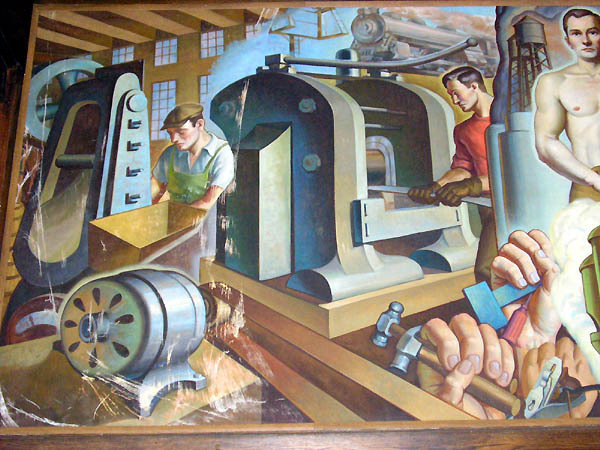 The murals in the Nathan Hale Jr. High School depict scenes from the life of Nathan Hale and were done by Joseph Scarrozzo, 1941. Both buildings are now Senior Citizen Housing.